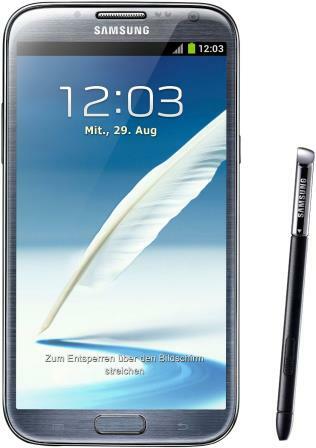 Just recently, confirmed partial specifications of the upcoming Samsung Galaxy Note 3 has been revealed. The Note 3 will have two models namely the SM-N900 and SM-N9005. Both features a 5.68 Full HD Super AMOLED display, runs on Android 4.3 Jelly Bean out of the box and will have a 3,200mAh battery capacity. But the two variants will have a different processor inside them. Check out more details below. The Samsung Galaxy Note 3 SM-N900 is the 3G/HSPA+ variant that will be powered by an Exynos 5420 Octa core processor clocked at 1.8GHz, and graphics processing will be handled by an ARM Mali-T628 MP6 GPU. The processor is paired with a 3GB LPDDR3 RAM and a nice 5.68-inch Full HD Super AMOLED display at 1920×1080 resolution. Meanwhile the Samsung Galaxy Note 3 SM-N9005 is the LTE variant. However the processor, graphics processor and amount of RAM is still unconfirmed as of the moment. But it will also have the same 5.68-inch Full HD Super AMOLED display at 1920×1080. Both variants will have a 13 megapixel rear facing camera with optical image stabilization. Both will come in 16GB, 32GB and 64GB storage capacities, with microSD slot compatible up to 64GB. Both variants will run on Android 4.3 Jelly Bean out of the box. Battery capacity is slightly improved, with a 3,200 mAh battery compared to the second generation which only have 3,100mAh. But there is another rumor that it will have a 3,450mAh battery capacity instead. Well if that is true, the 3,450mAh battery would be better. The Samsung Galaxy Note 3 will have the same dimensions as the Galaxy Note 2, but with a slightly larger display. If the reports are accurate, the dimensions are 151.1mm x 80.5mm x 9.4mm more or less. Looking at my Note 2, I think the Galaxy Note 3 will have a very thin bezel to squeeze in the 5.68-inch display. The Samsung Galaxy Note 3 benchmarks was also previously leaked. The SM-N9005 LTE variant yielded an AnTuTu benchmark score of 22361. Previous reports also claim that the SM-N9005 will be powered by a quad core Snapdragon 800 processor with a clock speed of 2.3GHz. And finally the Samsung Galaxy Note 3 is expected to be officially announced on September 4, 2013 during the IFA event in Berlin. If the Note 3 will be announced on September, most probably it will be available and hit shelves on Q4 of 2013 just in time for the holiday season. Samsung Galaxy S4 Exynos 5 Octa Core vs Snapdragon 600: Which to Get?